Although animal-attack claims most commonly involve dog bites, many other types of domesticated animals, such as ferrets, cats, and even birds, can also bite humans. Even non domesticated animals, such as large cats ordinarily found in the wild, but owned by some people as pets have been known to attack children and adults. An owner’s liability for injuries caused by his or her pet, if any, will vary greatly from jurisdiction to jurisdiction. A lawyer from our firm who is experienced in handling personal injury claims is an excellent source for accurate advice and information if you have been injured in animal attack. 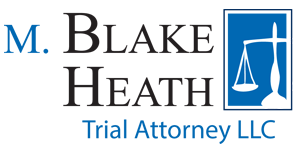 If you or a loved one has been injured by another person’s negligence, contact the experienced personal injury lawyers at M. Blake Heath, Trial Attorney LLC at (816) 931-0048 for a free case evaluation.